Last year, we had a great opportunity to work with Cengage Learning, Inc to shoot a set of student testimonial videos at NerdNation 2014, Phi Theta Kappa’s 96th Annual Convention, which was held April 24-26 at the Walt Disney World Swan and Dolphin Resort in Orlando, Florida. 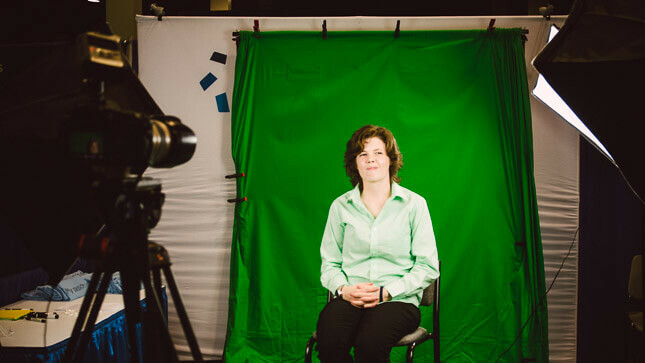 For two days at Cengage Learning’s convention booth display, we would be doing interviews filmed against green screen featuring over 30 college students from around the country. Each Student were asked a series of interview questions and each gave great responses. The students gave college success advice, offered tips for college students and shared details about their classroom experience. See what Butler Community College, Coffeyville Community College, and Grayson College students had to say about the key to being successful in college. Cengage Learning, Inc. is an educational content, technology, and services company for the higher education and K-12, professional and library markets worldwide. Want to know more about Cengage Learning? Watch more student testimonial videos on their YouTube Channel. Thank you to Cengage Learning, Inc. for hiring Lasting Blueprint Productions to do the testimonial video production for your company at Phi Theta Kappa’s 96th Annual Convention, NerdNation 2014. It was a fun video production job and quite a treat to hear students answer the student testimonial questions with such great stories.